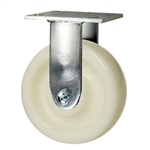 4" Stainless Steel Rigid Caster Nylon Wheel - 800 Lbs Cap. 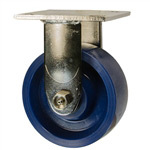 4" Stainless Steel Rigid Caster Poly on Poly Wheel - 500 Lbs Cap. 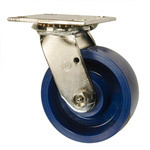 4" Stainless Steel Rigid Caster Solid Polyurethane Wheel - 700 Lbs Cap. 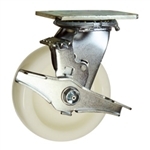 4" Stainless Steel Swivel Caster Nylon Wheel - 800 Lbs Cap. 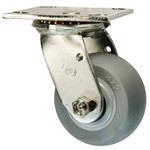 4" Stainless Steel Swivel Caster Nylon Wheel with Brake - 800 Lbs Cap. 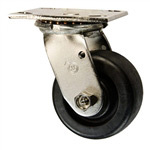 4" Stainless Steel Swivel Caster Polyurethane Wheel - 500 Lbs Cap. 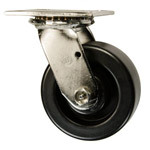 4" Stainless Steel Swivel Caster Solid Polyurethane Wheel - 700 Lbs Cap. 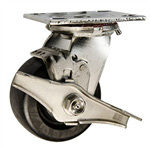 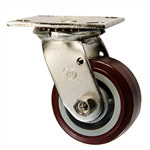 4" Stainless Steel Swivel Caster Solid Polyurethane Wheel with Brake - 700 Lbs Cap. 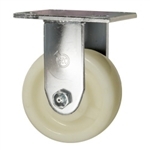 4" x 2" Stainless Steel Rigid Caster Polyolefin Wheel - 450 Lbs Cap. 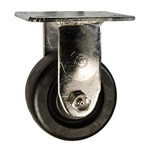 4" x 2" Stainless Steel Swivel Caster Polyolefin Wheel - 450 Lbs Cap. 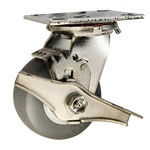 5" Stainless Steel Rigid Caster Nylon Wheel - 900 Lbs Cap. 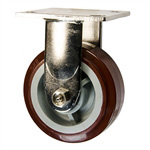 5" Stainless Steel Rigid Caster Polyurethane Wheel - 600 Lbs Cap. 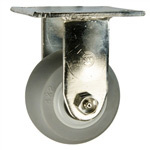 5" Stainless Steel Rigid Caster Solid Polyurethane Wheel - 1,000 Lbs Cap. 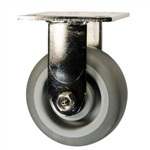 5" Stainless Steel Swivel Caster Nylon Wheel - 900 Lbs Cap. 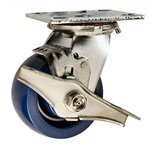 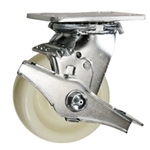 5" Stainless Steel Swivel Caster Nylon Wheel with Brake - 900 Lbs Cap. 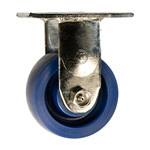 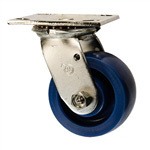 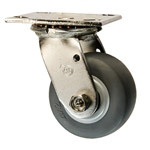 5" Stainless Steel Swivel Caster Polyolefin Wheel - 650 Lbs Cap. 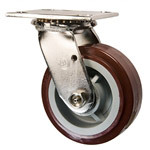 5" Stainless Steel Swivel Caster Polyurethane Wheel - 600 Lbs Cap. 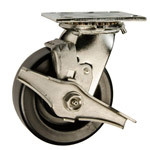 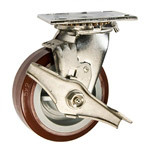 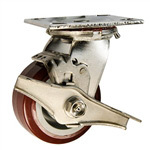 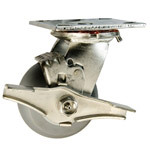 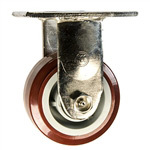 5" Stainless Steel Swivel Caster Solid Polyurethane Wheel - 1,000 Lbs Cap.